The Naweni site foundations almost ready for the concrete! We are already nearing the end of week 2 and progress has been great! With the first set of three-week volunteers leaving us soon, it’s safe to say time flies when you're having fun! We have seen great progress over the last week on both sites and morale within our teams has been high. 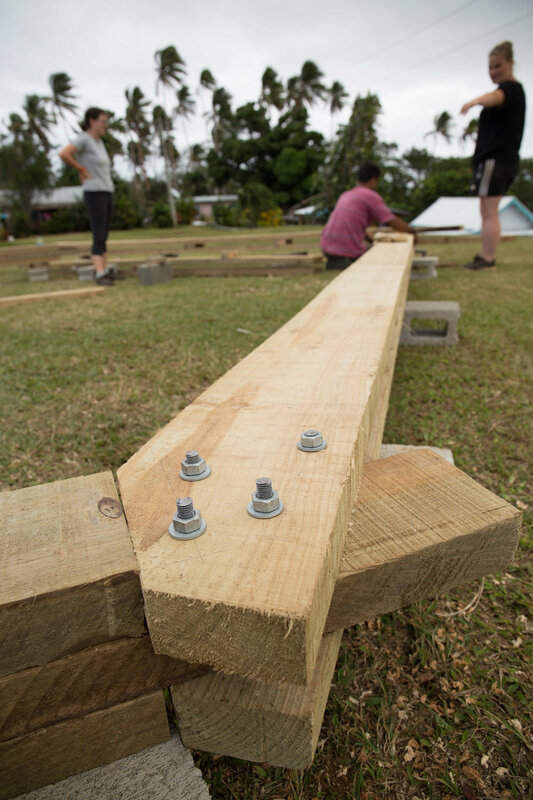 In Vivili the volunteers have been hard at work covering all manner of tasks, including the digging of foundations, installation of reinforcement bar and treated timber footings and waterproofing the entirety of the trenches. We also managed to start construction of the portal frames, with 2 out of 10 being completed by the end of the working week. The ground works are now complete and ready for the concrete to be poured, a great achievement in such a small time period, which is credit to the volunteers’ hard work. Progress in Naweni has also been rapid, with the ground works completed at the end of week 1; the team has been hard at work making portal frames. Each frame is made up from 6x2 sections of timber, which are bolted together to make a composite portal frame. These will then sit on the pine poles in the foundations once the concrete has been poured. During our down time we have been enjoying the immersive Fijian cultural experience. Taking part in Sunday church services, trying the local cuisine and learning about the Fijian way of life has been enjoyable and we feel like this is our home away from home! Evenings on Friday and Saturday are often spent drinking Kava with the villagers- a traditional drink made from the roots of a plant, which is shared by everyone in the village. The Naweni team spent their weekend at another local island called Tavueni, whilst everyone over at Vivili spent their weekend snorkeling at Split Rock, a renowned snorkeling and diving spot just off the coast of the local town, Savusavu. This week also saw the arrival of our final two Project Leaders; Harry and Sam who bought with them some welcomed spare drills and battery packs! Since their arrival on Thursday they have managed to fit into village life with ease and enthusiasm for the projects. 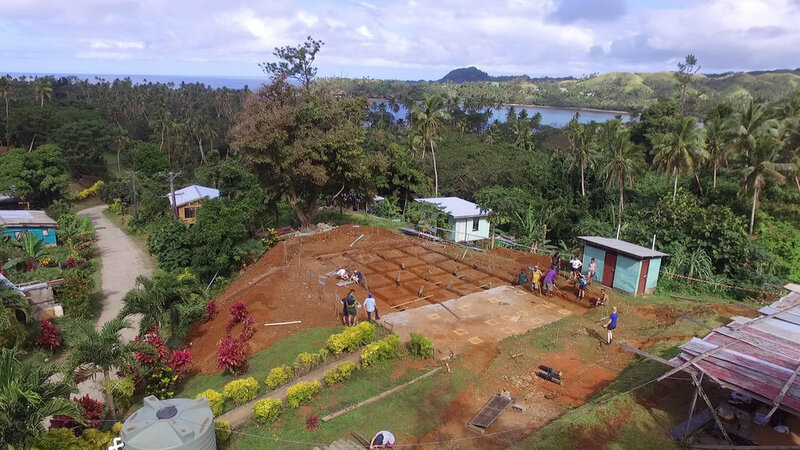 With the teams working so hard a resort break is well deserved and next week we are excited to be going to Daku Resort for a couple of nights R and R.
Follow our website, Facebook and Instagram for regular updates on the build progress and volunteer experiences!